And so today I embark on the big journey, as in “adding facebook video downloaders” to my list of review targets. Can’t just always talk about next best youtube mp3 converter or the cute twitch clip downloader i’ve come across lately. Actually need to widen my repertoire and start signing about stuff that contemporary youths want to know – how to download that embarrassing video your friend shared of your friend doing stuff to your friend from facebook? And I will tell you how! It is very easy to do so using saveas.co. But first, let me talk a bit about this website. at first i was puzzled by the website’s name. it doesn’t have fb, facebook or fvid in it, how usually facebook downloader website try to denote their belonging to that secret circle of fb video snatchers.. not this one, this one have saveas for its domain name, which is maybe catchy, but maybe irrelevant.. Interesting factoid..
Usually youtube mp3 converter sites have search. 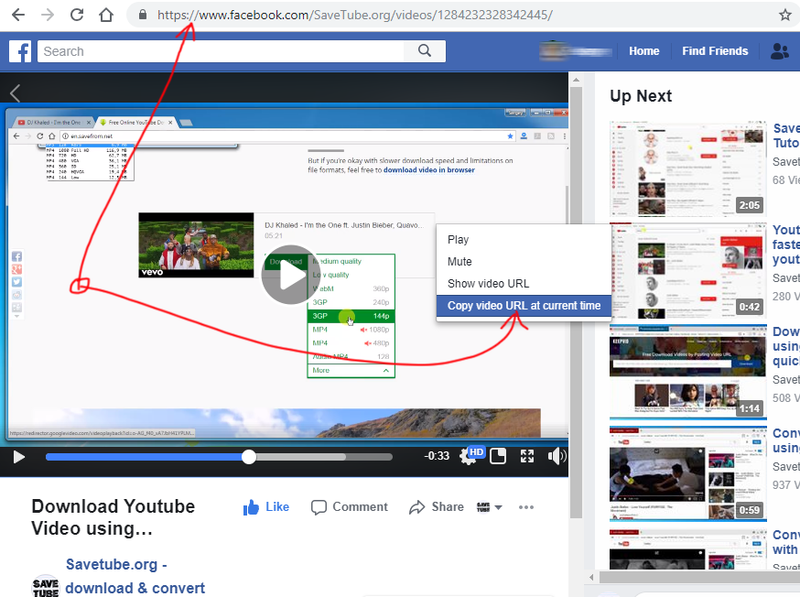 Sites that deal with Facebook video do not provide any search, so technically you need to find the video, copy its URL and bring it to this website for future processing. That is why I am including 1 extra screenshot into my tutorial, it illustrates how to copy facebook video link into clipboard. to find video link, you can simply open video in browser or app. In browser then you can either copy it from the address bar, or you can right click on the video and select “Copy video URL at current time”. this will place video link into your device clipboard. If you’re using mobile app, click on share button, there select copy to clipboard standard mobile option. get to know this site, it’s pretty cool, only 1 ad that sometimes doesn’t even show, nice.. Well, it does show on the page of download, but in any case, it’s nice. clean looking, tidy. taken care of, by the updates and all. There’s a box to insert video URL, and download button. Now we see video title, then html5 video tag containing the video, maybe to confirm that you have the right one.. And then there’s advertising below a copy of video title, do not know why is it there again.. And below that we can finally see the download links on the bottom. One for HD, one for SD versions of the video. Normal left click on any one of the links produces download. I usually make screenshot of downloads page in browser to prove I actually was able to download the file. First there’s HD version downloaded from saveas.com servers, as you may see. And above there’s video downloaded directly from facebook. Whichever format you need and source you prefer. 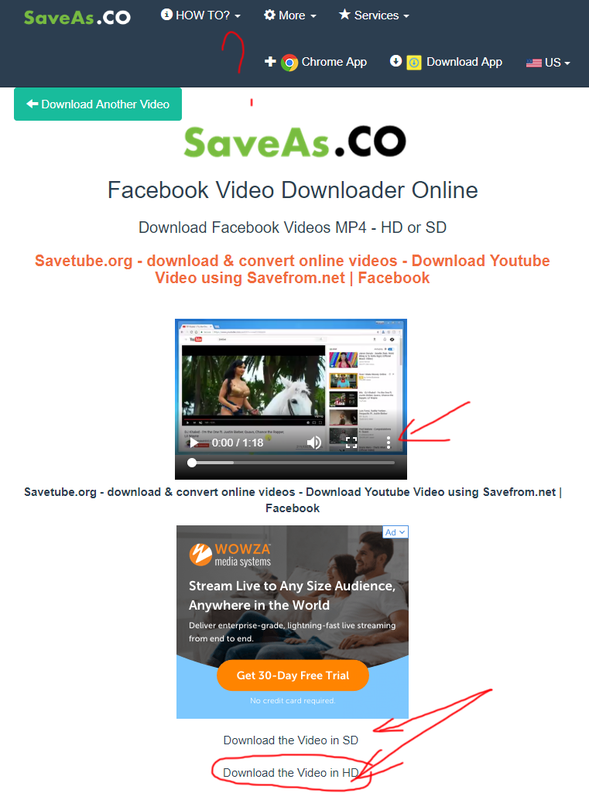 Obviously saveas.co doesn’t store your video on their servers, it would probably be illegal. They do pipe it via their servers to make your life easier and save you 1 click when downloading the video. 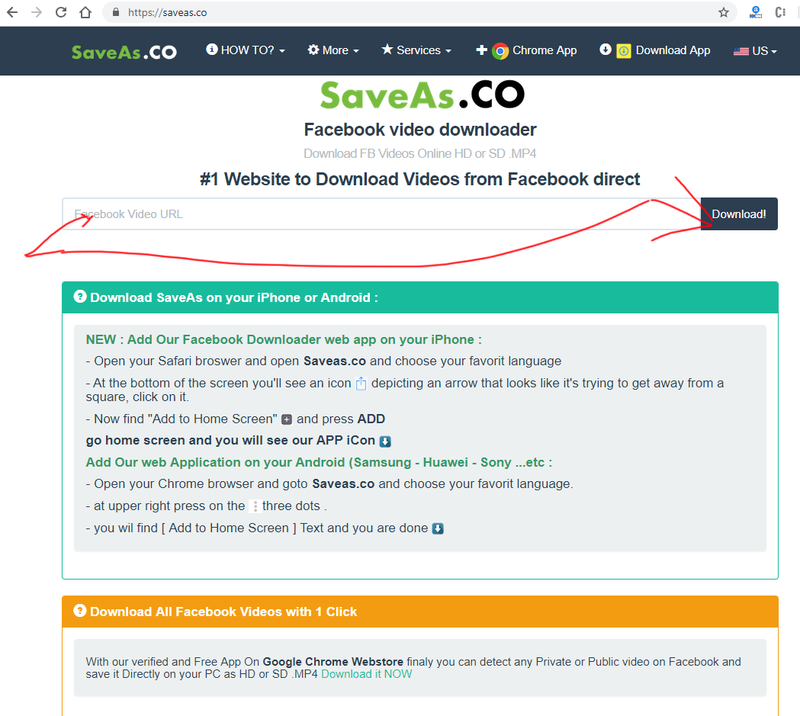 saveas.co is not a bad site, really, not bad, I do like the change from popups to static ads that don’t bother you and wait for you to click them rather than open some mad skin page that is work-unsafe and you get in trouble for that…. Great design, easy on the eyes, good to use! 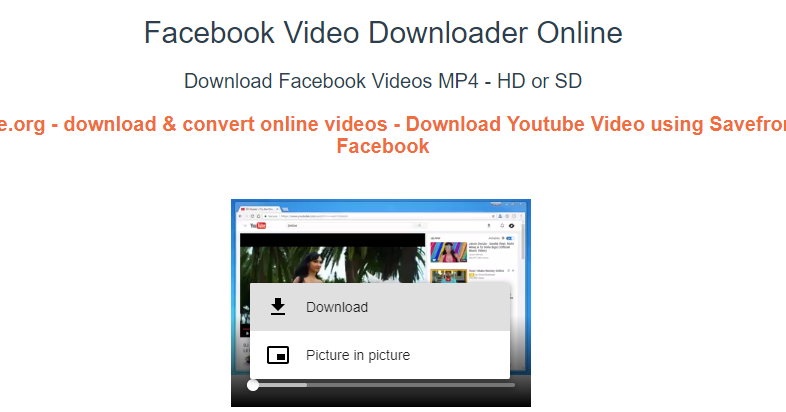 This site stands in line of recently discovered gems, including reddit video downloader, instagram video downloader & mp3 converter, twitter downloader, working vimeo downloader, and many many others. PS. As a matter of fact, it’s kinda been an onslaught of new sites, like there’s a fight for who will help you download music from youtube, who will be your next youtube downloader, etc.. It’s even weird.. Or is it me, and these sites have all existed for years? I don’t know.. But I will review them all!